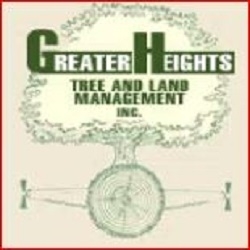 Greater Heights Tree & Land Management Inc.
We, at Greater Heights Tree & Land Management Inc., believe that quality work and customer satisfaction are most important! Our work is done by educated, trained, and certified personnel. We take great measures to ensure that every customer is completely satisfied with their project. We are a fully insured tree service company that operates throughout VT, MA, and NY. We provide both commercial and residential services with free estimates and hazard tree assessments! Call us!